Happy February to everyone. I don't know about you but I am sick and tired of winter. Today we had that lovely storm and 1" thick ice covering our driveway, porch etc. I don't know about the streets, because I will not be leaving home. My daughter was called off school again, so she was pleased. Now onto February!!! Well this month is a special month for me because I am having a birthday, so I want to give an extra special prize this month. I am sure some of you are like me and waiting patiently (or not so patiently) for the new goodies just released at CHA Winter in Los Angeles. So of course that should be the blog candy right? First of all here is what you must do. You have till February 28th to do this. 2. Post the picture on your blog with a link back to this post. 3. Leave a comment here and tell me which candy you would want. if you have already ordered these from me as a preorder, you can pick 12 other Sketch markers, or if you prefer Ciao markers you can pick 12 of them. Some of these items have not shipped from manufacturers yet, so there might be a short wait on getting them to you. I am at the mercy of the companies meeting their estimated shipping dates. I will pick two winners sometime after the end of the month and post the winners here. So please check back. Please tell your friends, because if I get over 550 followers by the end of the month I will pick a 3rd winner. thanks for the chance to win! what wonderful prizes, i'd love to win some Copics =) I'm already a follwer and will post your candy on my blog! Happy Birthday! Wow! More blog candy already? That's fantastic!! I would definitely choose the Copics (although the Nesties are really tempting). I just got my very first Copics this week and I feel like I've entered a whole new world. Any chance to get more would be AMAZING! Hey, these are beautiful. Even my birthday is on 8th Feb so thats common. And you know how much i want those copics. In fact any of those are too good. I,m already a follower and receive your newsletter also. And you can visit my blog to see the candy. Oh I'd love to win the copic markers. I haven't but one of them so far. Happy Birthday too! Happy Birthday Michelle!! I would love to win the copics as I only have a few and would love to be able to use them more often!! I still use aquacrayons for my colouring!! I am now a follower and have posted the blog candy in my sidebar!! Thanks for the chance to win!! Have a very happy birthday!!! I have been a follower!!! and buy from you!!! I just posted on my blog. and added a new badge"I shop at" on my side bar with your store website. What a great candy !! If i won i like those new spellbinders !!! these are so nice !!! Happy Birthday Michelle! I am already a follower and I am gonna post your candy on my blog in a minute. I would choose the copic sketch markers, love to work with them and the new colours are just so HOT! Thanks for the chance, you're so generous! I am a new follower. What a great candy. I love the spellbinders. Happy birthday Michelle. I like to win the new spellbinder. I love the new spellbinder ;) I'm already a follower and have the newsletter. Happy birthday to you1 Thanks for opportunity to win so geart prizes! It's very sweet of you to having another candy! Thank you for the chance. I'm a follower and I added the picture with the link back to this post to my sidebar. :) I would like to win one of the new Spellbinders nesties - they are all just too cute! Happy birthday! I hope you'll have a fab day and get spoiled rotten - you deserve it for being so nice! Whauww, what a supernice candy, i like it, I am a new follower. I love the spellbinders dies, the are super. Hello! At first - Happy bithday to You....this month...lot of happiess, love and sweets! Happy birthday, i was already follower. Thank you for the chance to win that gorgeous candy. I would love to win one new spellbinders, I love them. I have linked you on my blog's sidebar and I am a follower. Thank you for the chance to win this candy. Oh February is a great month if you are having a Birthday! Have a wonderful Birthday filled with fun! I love all the items in your candy but I would really love the new spellbinder dies! It would be like having my own Birthday to win them! where I show panch of my dream - would like to get. Copics is another my dream! So, Thank you very much for the chance. and all the best and good luck! Hi; Nice candy you have! I didn't win last month so I'll try but it's hard to choose between fine things, but I'd go for the Spellbinders with hearts!!! Happy Birthday. What great choices for candy. I would love to win the copics as I have been wanting to try them. I am already a follower. Thanks for the chance to win. Happy Birthday! And thank you so much for offering up such a super candy. I would love to try Copics, so I have my fingers (and toes, lol!) crossed. I am a follower and I have linked your candy to my sidebar. Happy, Happy Birthday!!!! Just joined the followers and also joined the newsletter. I would LOVE to have the Copics since I do not have any. Thanks for a chance to win. Wow! Thank you for this great Candy! :-))) I'm happy to partecipate to. Happy Birthday! Thanks for a chance at the sweet candy. I'd pick the Copics. Wish you a very Happy Birthday in advance Dear.I am already a follower and would love to receive copic markers as candy if I win.And I really hope to win. Happy birthday!!! I'm a new follower and I subrscribed your newsletter. This candy is really awesome! Wauw, what I nice candy. Difficult to make a choice. 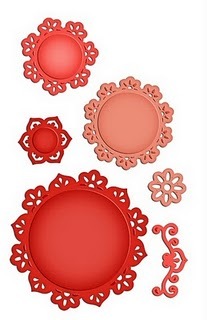 Hmmmmmm, I like the spellbinder dies the most. My birthday also is in february, maybe this will bring me luck!! Happy Birthday, Michelle!I am already a follower and have a link to your candy on my sidebar. I would love to win the set of Copics. What great candy you have to offer. Thanks! I really liked this candy: 12 NEW Copic Sketch Markers . I'd like to have it on ny blog:http://scrapmelody.blogspot.com/ . Ik ben een nieuwe volger. Wat een leuke candy.Ik doe graag mee Ik ga voor de Spellbinders. A very happy bday to u dis month....m now a follower and i m keeping my fingers crossed to win d spellbinder dies ! Im sory. I am forgotten to say what candy I want to have. But I would like to win the copics. Thanks for another candy, Michelle! And Happy Birthday to you too! May God bless you with His love and happiness! I would like to have Copic markers if I win! I been longing for it so long. wow what a great candy's! I just became follower, put it on my blog and add myself to yr mailing list. And what i prefer? Well all the stuff is great, but i will go for the markers, i do not have anything about that and i see lot's of great cards created with that, so i like to try them! thanks for giving us this change! Choose heavy, so would like to participate in 3 or how to win. Well, as tempting as the spellbinders are, I have to pick the copics. They have been on my wish list since I first heard about them! Thanks for the chance! And have a wonderful birthday!!!! thanks for the chance to win! what wonderful prizes, i'd love to win some Copics =) I'm post your candy on my blog! Ohhhh such yummy candy to win too! All are great but I would have to pick the new Copics. I am obsessed..lol Thank you soo much for the chance to win them. I am a follower of the blog and newsletter. Although it says I am a follower now of the blog but I can't see me on the list :( I hope it just needs to update. I am off to add this as a link back to my blog! Thank you for offering this fantastic candy to celebrate! Thanks for the chance!Please be welcome on my blog to have a go at my candy. Happy Birthday, Michelle. I hope you will have unforgettable one (in a very positive way). Love the spellbinder dies...thank you so much for the chance to win. Happy Birthday, Michelle! Thank you for the chance.And if I was lucky, I woould love to have the Martha Stewart Punch! What a big candy. Wonderfull. I would so love to win the Martha Stewart punch. I'm a follower and I added the picture with the link back to this post to my sidebar. Thank you for the chance! I'd like a Martha Stewart Punch. Happy Birthday month! How sweet and generous to offer such wonderful candy - I've added you to my sidebar. Those spellbinders just made me smile HUGE when I saw them! I'm glad you posted the pre-order, I have not seen them previously and they are definitley a show stopper! Blessings and thanks for the chance! What a great candy you got at the moment. My favorites are the copics; I don't have any yet, so I would love to try them out. and thanks for the chance to win! Happy Birthday! Oh jeez, probably copics because I don't have many pastels, but I would be tickled with any of them :o) Thanks for the chance. Post on my sidebar, and hope you get tons of followers! Thanks so much! I would like to win the copics. I am a new follower, I set up the link to my blog & I signed up for the newsletter & I would really love to win those lovely new copic markers..fingers crossed. Thanks for the chance. I am glad I found your blog! Fantastic blog candy! I would LOVE some Copics! Either the new set or some that I choose would be fantastic! Thanks so much for the chance! The link is up on my blog! Happy Birthday! We wished you a happy birthday Michelle,my daughter have also in febr her Birthday. Thank you for giving us the canche to win this beautiful candy. We became your follower with pleaser. I'll have your link in my sidebar. Sorry for my bad english writhing. If i was a lucky ducky--I would choose the SB die~~YES!!! oh this is fabulous! Hope you have a wonderful birthday and are spoiled like crazy! Happy Birthday Michelle! I hope that you will have a fun time celebrating your day and many more to come. These are some awesome giveaway, so sweet of you. Thanks for the chance to win. Happy birthday! just found you and im now a follower and linking you on my side bar. what a yummy candy. i would love to winn some copics or those beautiful dies or that punch or....lol. hugs! thanks for this great opportunity to win! I would soooo love to win copics cause i've been wanting to try these for a long time! I have posted your candy on the sidebar of my blog...Thanks for the chance to win! I also am a new follower..Check out my blog. Happy Birthday. May you have a wonderful day on your special day!! I have linked you, or I hope that I have. I am new to all of this and I am trying to learn as fast as possible. lol I look forward to visiting your blogs andn seeing all of your creations. If I were to win I would really love to have the copic to help enhance designs on my creations. Thanks have a great weekend. what a fabulous give away! Happy Birthday and happy February. I am a follower.. and I have posted on my side bar. Thanks for the opportunity to win. I would LOVE to win one of the new nesties! Happy Birthday ! And I wish you have many many more !! Lovely Candy .And thanks for the chance to win. I'm a follower and have signed up for the newsletter. 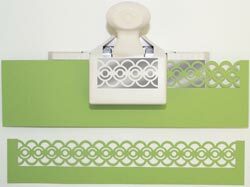 As I'm new to paper crafts these products are new to me. I'd love to win...any or all of it! They are all so wonderful ! I'd be so happy to have any one of it! First of all Happy Birthday!!! I am a follower now and I would so love to win one of the new spellbinders dies.I just love the new parisian accents and parisian motifs:)). I think these are one of the best spellbinders ever. Happy Birthday! I am following you and hope you will follow me too. Thanks for a chance to win some copics! Happy Birthday and thank you for teh amazing candy! I would like to win the copic's! Happy Birthday to you and your sister! OH, nice candy! Hard choice to make, but I am a punchy kind of person. LOL! Happy birthday, Thank you for the chance to win that gorgeous candy. I would love to win one new spellbinders, I love them. wow amazing candy, my mouth is watering LOL!! thanks for the chance to win!! Happy Birthday to you. Wow what a fab candy. Thanks so much for the chance to win and IF i win than i would love the win de copics. I color with Derwent pencils but the copics have much more colors. Oh, just love blog candy. Thanks again for a chance. Love the fact that you carry so many things in the shop! I am a new follower and also subscribed to your newsletter. I have also added your badge to my blog. I would love to win the Copics! that would be awesome! Thank you so much for the chance to win the Copics. Thanks for a chance and Happy Valentines!!! I would love to win, if I do I want the COPIC markers. I think they are great and would love to have some. aw wishing you a very happy birthday, hope you have a great day Michelle. i am a follower and will link up on my sidebar in a second. Happy Birthday!! I'm already a follower of your blog :) I've linked your candy to my sidebar. I would love to win some new copics ;) Thank you so much for the chance to win! Hello, I am a new follower & came across your blog through a fellow blogger. Thanks for the chance of winning candy... I would go for the Martha Stewart punch, although all items are just great. Thanks for a chance to win your yummy blog candy! Happy Birthday Michelle! Fantastic candy!!! Thanks for the chance to win!!! Wow,you really make it difficult to choose. these are all great giveaways. I would choose the Martha Stewart puncher. I still don't know how to use the ciao markers. Thanks for such a great chance. Thanks for a wonderful candy. Copics Markers I want to win. I like 12 Copic Sketch Markers!! Ik zou heel graag de spelbinders willen winnen,dankjewel voor deze kans. hey, those look good! but you know that I ,m dying to hace copics. So thats what I want. I receive your newsletter and m a follower too. Happy birthday Michelle. I wish you all the best for the next year. 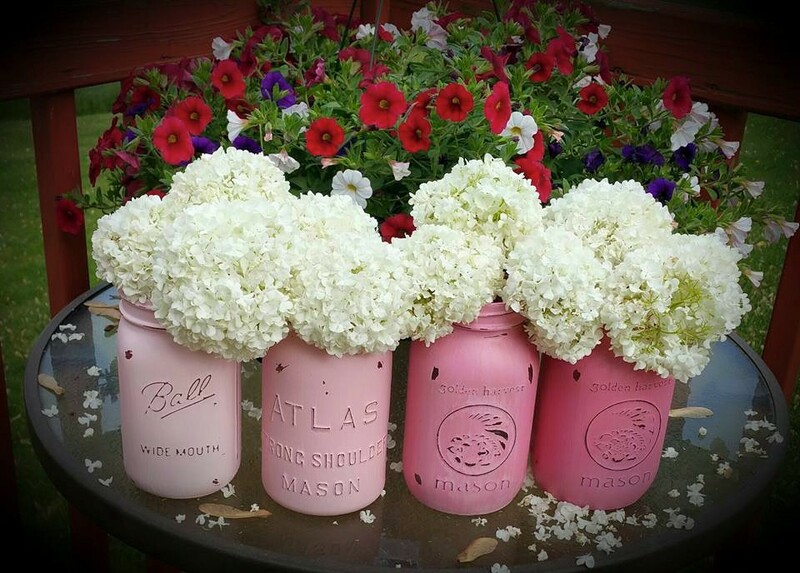 Thank you for sharing this amazing blog candy with us. I don't have copics but would love to try them out so i would choice the copics. Happiest of Birthdays Michelle! My daughter Michelle also had a birthday this month on the 10th! If I were so fortunate to win something, I'd love the Copic colors! Thank you for holding the contest! Michelle, what a celebration in heart month! Colorful Copics would be lovely. Shapely nesties would be outside the usual box cuts! Thank you for making this some special celebration. Following your blog for some time, I have shared your news as I hit other blogs but have no site of my own as three attempts to steal our identity has meant a cut back on exposurers. Continue to celebrate and share good techniques and totally grand colors in papercrafting communities all over cyberspace. Thanks for responding to those who visit Michelle's Scrap after hearing about your fine examples and ability to share news from upscale sites and blogs. I have linked you on my candypost and I'm already a follower. I would really like to win some copics as I have been waiting like forever for these copics. Thanks for the chance to win them. Happy Birthday Michelle. I have linked you on my blog. I also have a birthday in February, on the 28th. I would love to win some Copic Markers. They have been on my wish list for a while now. Hope you have a great birthday. Thanks for the chance to win. I am a follower already. Happy Birthday Michelle! Hope your birthday month rocks. 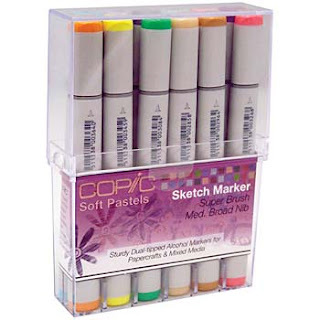 I am a follower of yours and have put up a picture of the Copics on my sidebar. I'd love to win the Copics because everyone says they rock. Thanks for the chance to win these! Happy birthday Michelle! Have a wonderful year. Thanks for the chance. I'd love to get the Copics (who wouldn't?! ); actually the nestabilities are a good choice too... well, anything! Im a new follower, from Hannahs blog.Thankyou for the chance at winning your candy,a very happy birthday in advance and what a fantastic candy it is.If I won I think I would choose the new copics, such gorgeous colours. Happy Birthday Michelle! I am a follower, posted on my blog and would love to win the new Spellbinders! Love them all and thanks for the chance to win. What great candy! I'm a follower and I would love to win the copic markers - i'm a big fan! I've also linked the contest on my blog. thanks and Happy Happy Birthday! Nice to meet you! Thanks for a chance! I like the candy very much. Thanks for a chance to win. I've become your follower and subscribed to your newsletter. Happy B-day Michelle. Fabulous Candy you have there what a way to celebrate. I an already a follower of your great blog. I have linked your candy to my sidebar and I have also signed up for your newsletter. Thanks for the chance to win and happy birthday! Happy Birthday to You, Happy Birthday to You, Happy Birthday Dear Michelle.... Happy Birthday to you. So generous to offer some candy to everyone. Thank you so much. I have just become a follower #557 woo hoo.. well done. So I guess if per chance I win your candy - I would so love some new Sketch copics. BTW - you are in my side bar! Via via kwam ik op je blog terecht en heb me gelijk aangemeld, Ik wil je alvast feliciteren met je verjaardag en zou graag een gokje wagen voor de copics. С днем рождения!!!! Удачи, счастья, здоровья!!! Я Ваш последователь и подписалась на рассылку. Очень мечтаю о Copic! Моя ссылка на боковой панели. Happy Birthday Michelle! I am a follower, posted on my blog and all of ur prizes are awesome ..so hardto choose.... would love to win the new Spellbinders! thanks for the chance to win. Thanks for the chance to win this candy!!! I love the new Copic colors. It's Party time!!! Michelle Happy Happy B-Day to you!!! wow awesome B-day candy!! Love your blog, I am already a follower!! I myself would love to start off with my first set of copics!!! I have triarts and their not the same!! I hope all your dream on your birthday come true!! Wow, so many comments. I linked your candy And I'm a followerr now. I would like to win the copics. I just get a airbrush from my husband. So the copics are more than welcome. Thanks for the chance to win. Thank you for a chance to win your fabulous blog candy. A big Happy Birthday to you Michelle. Firstly happy birthday and second thanx for doing a very special blog candy. Thanks for doing such a great blog candy. If I win, I'd like to get some Copics... I think they're great and I'd love try them out myself. Thanks for the chance to win some great candy. I would love one of the new spellbinder dies that came out. Thanks again for the chance! I am delighted with both sweet wonderful. I would love to win the copics because I'm crazy for them and still have not. Happy birthday, Michelle. I am a new follower who happened upon your site. I've signed up to get your newsletter and will post about your dandy candy on my blog at www.cardmonkey-business.blogspot.com. If I am lucky enough to win your THREE drawings (!!! you're almost at 600 followers!!! ), I would either like the Spellbinders nestabilities or Copic markers. I ♥ it all, so it really doesn't matter!! Hi Michelle! Hope you're having a great birthday month :) I see that you are celebrating in style - what an amazing giveaway! I'm posting for you on my Candy Alert Page! Wow Michelle, what a nice candy you have, excuses for my english, I'am not so good in it, but I try. I want you to have a Happy Birthday, and I wil become a follower on your wonderful blog. Normaly I am not so lucky with candy's but if I win, I like de Copics because I want to start collouring with de copics. I put your candy in my sidebar. Maybe you wil visit my blog in return? Thanks for the change. happy birthday Michelle and wow what fab candy...I wouldn't mind any of the items but something is pulling me to the copics...I can't resist them!! I'm a new follower and would so love to win either the copics or the spellbinder dies. Many thanks for the opportunity. I'm lovin' this site! I just began collecting copics last week!!! I'm so excited! I hope your birthday month is the best month ever! Thanks for your generousity as well! Looks like you have an amazing fanbase! I forgot to leave you with info. I posted the giveaway & am now a follower 2 your blog, excited to see more of your works. Happy Birthday, Michelle! What a delightful blog you have! I just discovered your blog and am now a follower - so very nice to meet you. Again, thank you for a chance at this fabulous candy! Happy Birthday! !I would love to win the copic markers. I am a follower, congratulations you have over 600 followers. Thanks for sharing. Michelle thank you for this beautiful blogcandy. I would like the Martha Stewart Punch ...althoug I posted the Promarkers image in my blog to advert your candy! it seems to be more actractive..isn't it? Happy Birthday!! I'm a follower and would LOVE the Copic markers! For some reason the link for your candy won't load on my blog but I'll keep trying!! Happy Birthday, Michelle! I'm a new follower and I also have a birthday in a couple of days. I've linked your post in my sidebar and would love to win the Copics. Thank you for the opportunity! Well, Happy Birthday to you!! I am following, have linked you up, subbed for the newsletter, and would be delighted with the Copics! Happy Birthday to you!!! I just became a new follower and glad to be!! I linked you up over on my blog about this giveaway!! Thank you for this awesome chance! I'm most interested in winning the Copics but would be happy with any of the goodies you are offering. Happy Birthday! I have become a follower, left a link, subscribed and now left a comment. Hope I win! I would like to win one of your awesome candies :) Thanks for the chance to win! I'm your follower and linked candies on my blog. Happy Birthday Michelle. Great give away, thanks so much. Keeping my fingers crossed. I would love to win the copic markers. I have been wanting some of these forever! I am posting about your blog candy now at www.patternsbysher.blogspot.com I have blog candy there too, if you would like to enter. Michelle, happy birthday's month! Have a good health and many ideas for creativity! Thanks for chance to win! I'd like to have Martha Stewart Punch. Michelle I am a new friend and follower!! Wishing you a fabulous birthday!! I would love to have some copic markers but honestly these are all fabulous products and would be thrilled to have any of them!! I posted your giveaway on my blog. Thank you so much!! Hi there... I am a new follower, and love your blog. I would love the chance to win some copics. I love digi's and use the prima markers but would love to try the copics. Thank-you for the chance to win..
Copics would be a nice new acquaintance, since I've not yet tried them. Wishing you a really Happy Birthday! Happy birthday, Michelle! I wish you good luck and many many smiles because they are the reason we wake up in the morning and are in love with life! I have linked you on my blog wall and have become a follower. I would be really happy to win these sketch markers because there are no such kind of markers in Bulgaria where I am from. I am already a follower.. and I already subscribe to your newsletters. I want to wish you a happy birthday :D. If I were to win I would want the Copics :D Thanks so much for the chance to win. I posted your candy and pic on my sidebar under my "candy" section... HERE! wow!!! happy birthday in this month! I can't believe the giveaway! these three things are so awesome it would be hard to choose between them! 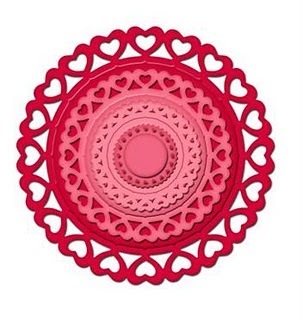 but I think it would either be a martha stewart punch or a spellbinder...i love the new heart circles spellbinders!! thanks for the chance! Hi Michelle, Happy Birthday and a huge Thanks for the opportunity to win these Copic Sketch Markers... It would be a dream come true, pick me please! I said on my blog only the other day my existing markers make my images I've coloured all furry, and they just don't blend. I would treasure them! Thanks for a chance to win this sweet candy. I love the Martha Stewart punch! :))) I want it very much! Happy birthday! Thank you for being so generous by offering this great candy. I'd love the copics or spellbinders. I'm a new follower and can't wait to get the newsletter. thank you for the chance to win this wonderful candy. Should i win, i would like the spellbinder dies. Thanks for the chance to win one of those things! Swoon! Amazing blog candy! I am desperate (desperate I tell you) to get my hands on the new Sketch markers! Thanks for the chance to win! Martha Stewart Punches are always acceptable! Happy Birthday, thank you so much for giving us a chance to win those fabulous copics. Hi Micheelle , well am already a follower and now a google friend and I already recieve your newsletter, and have posted your candy. What a hard decision as they are all things on my wishlist. I think if I had to put them in order it would be spellbinders first as I only have an alphabet and flower die for my bigshot so far, then martha stuart puch as I don't have any of those and think they are fab and lastly copics as I have promarkers and would love to try Copics to see how they compare. Thanks for the chance and hope you had a fab birthday too.